With lightning speed and incredible reflexes, there's a very good reason Softball FNQ junior and Softball Queensland + Softball Australia rep James Minniecon bases his game off MLB Hall of Famer Jackie Robinson. ONE is a supremely gifted Far North speedster opposition infielders can’t afford to take their eyes off due to his elite pace. The other is a Major League Baseball Hall of Famer, a trailblazer who broke the “baseball colour line” when he spent a decade playing for the Brooklyn Dodgers in the late-1940s to mid-1950s. James Minniecon, the 13-year-old Hawks softballer who prefers left field or shortstop but plays pitcher-catcher locally, invokes the name of arguably the most influential major league baseballer of all-time in Jackie Robinson when asked to describe the way he plays the game. “I always thought of myself as Jackie Robinson,” he said. “The energy, the base stealing. I steal a lot. “By the time the catcher gets the ball I’m usually halfway between first and second. Minniecon is quite new to softball. While his family has a long association with the sport he only started playing the game about two years ago. 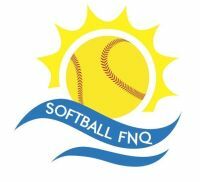 “He’s incredibly athletic and just grown into the game so quickly,” FNQ Softball president Liz Fresser said. 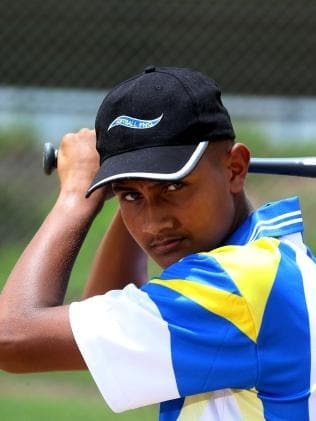 It is little wonder to those who frequent Walker Road Sporting Precinct that Minniecon was named in the first Australian under-15 team to play at the International Friendship Series later this year, but the teenager was lucky to even get the chance. Minniecon played for Rockhampton at the state championships and performed well enough to be named as a shadow for Queensland’s team despite Rocky finishing last. From a beginning like that, you can understand why he was surprised to earn national selection, but Minniecon is determined to make it count.